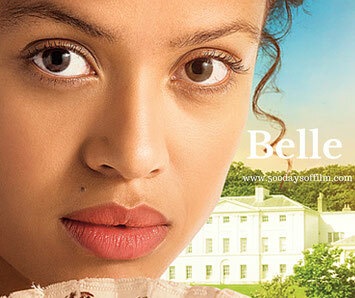 Belle is inspired by the true story of Dido Elizabeth Belle (Gugu Mbatha-Raw), the illegitimate mixed race daughter of a Royal Navy Captain. Raised by her aristocratic great-uncle Lord Chief Justice Mansfield (Tom Wilkinson) and his wife (Emily Watson), Belle's lineage allows her access to many privileges. However, the colour of her skin prevents her from fully participating in society. When Belle falls for an idealistic young vicar's son, she risks everything to help him shape Lord Mansfield's view of slavery in England. Belle is a truly gorgeous film, beautifully shot and full of powerful, convincing performances. Yet this is far from just another good looking costume drama. Belle has something important to say about race, gender, class and identity. That, you might well be thinking, is a lot of ground to cover. However, Dido embodies all of these issues and contradictions. She is half white, half black; half slave and half aristocrat. As a result, she enjoys great privilege but also often faces exclusion. She is independently wealthy and yet her worth is still measured by her potential marriageability. Dido is a fascinating character and, thanks to a superb performance by Gugu Mbatha-Raw, her struggle to find her place in society is thoroughly engaging. Belle’s impressive cast all give powerful, emotional performances. Tom Wilkinson and Emily Watson are typically brilliant as Lord and Lady Mansfield. I also enjoyed Penelope Wilton’s portrayal of Lady Mary Murray. The film also features a fine Draco-esque performance from Tom Felton and Miranda Richardson is wickedly divisive as Lady Ashford. Meanwhile, Assante creates a charming romance between Dido and trainee lawyer, John Davinier (Sam Reid). Their relationship also serves to introduce another of the film’s key themes - human rights and the slave trade. In 1781, aboard a ship called the Zong, 133 enslaved Africans were murdered. The ship’s owner, the Gregson slave-trading syndicate, claimed that the slaves had been killed as a result of a lack of water and supplies. However, anti-slavery campaigners argued that the crew had committed mass murder in order to benefit financially from a claim on their ‘cargo’ insurance. When the insurers refused to pay, Gregson took them to court. Incredibly, the subsequent ruling held that (in some cases) the deliberate killing of slaves was legal. Lord Mansfield was later petitioned to overturn this ruling. Belle explores the impact Mansfield’s relationship with Dido might have had on his final decision in this case. Dido and Lord Mansfield's relationship lies at the heart of Belle. Sadly, Assante’s father died before the film was finished. However, what a wonderful tribute this film is to their relationship. Effortlessly combining an engaging story with important issues, Belle is a wonderful film and one that I would wholeheartedly recommend. If you have, what did you think about this film? I’d love to know - just leave me a comment in the box below. I loved John Davinier in this - he was the Lloyd Dobler of English period films. Hi Kieron, thanks for stopping by. Thank you for your kind thumbs up - much appreciated! I agree, John Davinier is a great character in Belle. Such an interesting story.